If you’re ever struggled with anxiety, you’re familiar with that uneasy feeling that sometimes gets as bad as your whole-body clenching or full blown panic-attacks. It’s bad, sometimes debilitating, and you want it gone. It’s not the same feeling as being stressed- it’s more internal, persistent, and can’t be shaken by simple suggestions like “just smile”, “make yourself busier”, or “try meditating”. Anxiety actually has its roots in your brain (specifically the amygdala and cerebral cortex), which is good news because that means there is a scientific way to “trick” your brain out of feeling anxious. Why does getting a real, sincere hug feel so good? Sure, you feel loved and reassured by someone that cares about you, but physically there is something at play as well. When someone hugs you, especially for more than 10 seconds, your brain starts to drop it’s production of cortisol (the stress-inducing hormone), and increases production of melatonin (relax, sleep hormone) and serotonin (happy hormone). 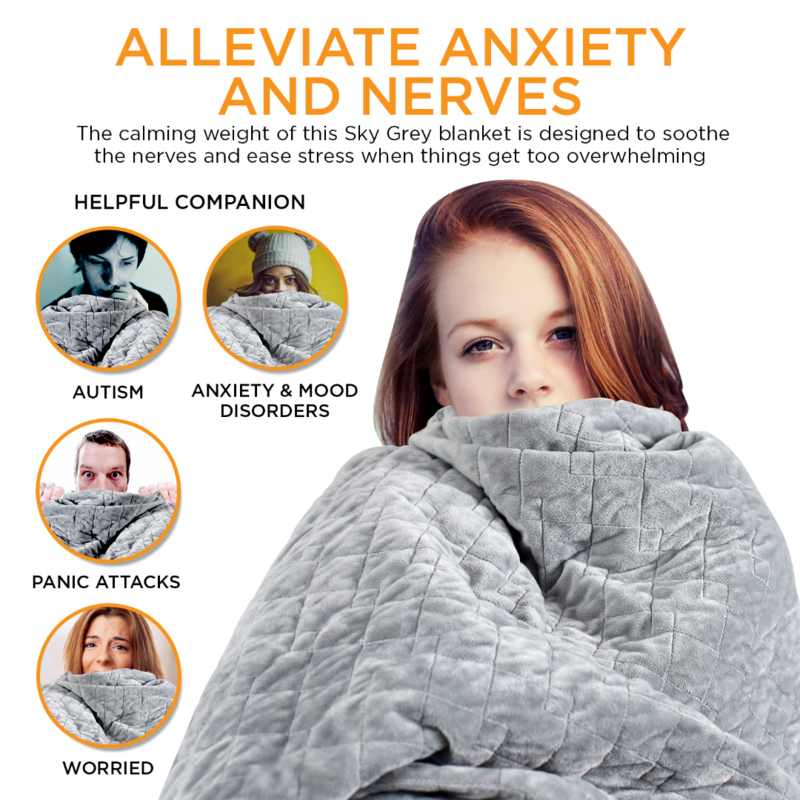 The Hush Blanket is engineered to mimic this hug into something you can use over and over again to reduce your anxiety and feel great again. Weighing in at roughly 10% of your bodyweight, you instantly start to feel secure, relaxed, and most important of all, your anxiety starts to melt away. Use it for 10-20 minutes during the day when you want to feel better, or if your anxiety is keeping you up at night, sleep with it to get a deeper, refreshing sleep. I have a lot of things going on and i find it very hard to sleep most nights. 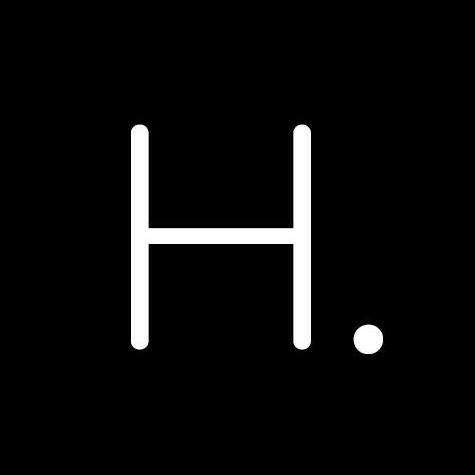 I got the Hush based on the fact i thought it could help me just a little. However, i find that i am sleeping MUCH better with it. Not sure exactly why, but it works, so i got not complaints. Thanks guys. PS: Kosta from customer support was very helpful. Writing this because i am curious to see if i am the only one who uses this while i do work on my computer. I am a lawyer and sometimes my job can be stressful. I figured i would try putting this blanket it on my when i do long hours sitting down to help me relax. And i guess it worked. Pretty cool product. Would recommend this to anybody who is hunting down for something to calm them down. 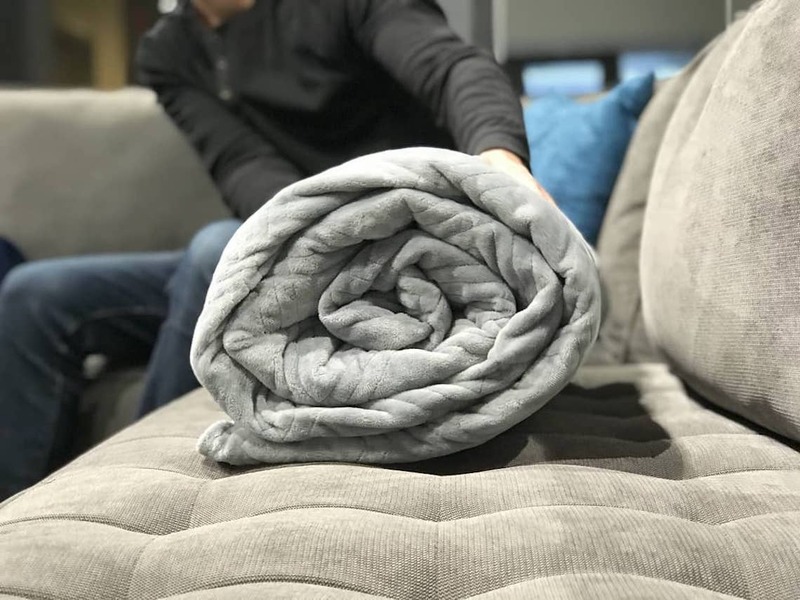 At first, the Hush weighted blanket was unusual to me. I did not really know how to properly sleep under it as i usually sleep on my back. However, after a few nights i think i am really starting to see the benefits in the weight. It feels like i am being hugged and cuddled all night. i dont feel as stressed as i used to. So i am pretty happy with this product. 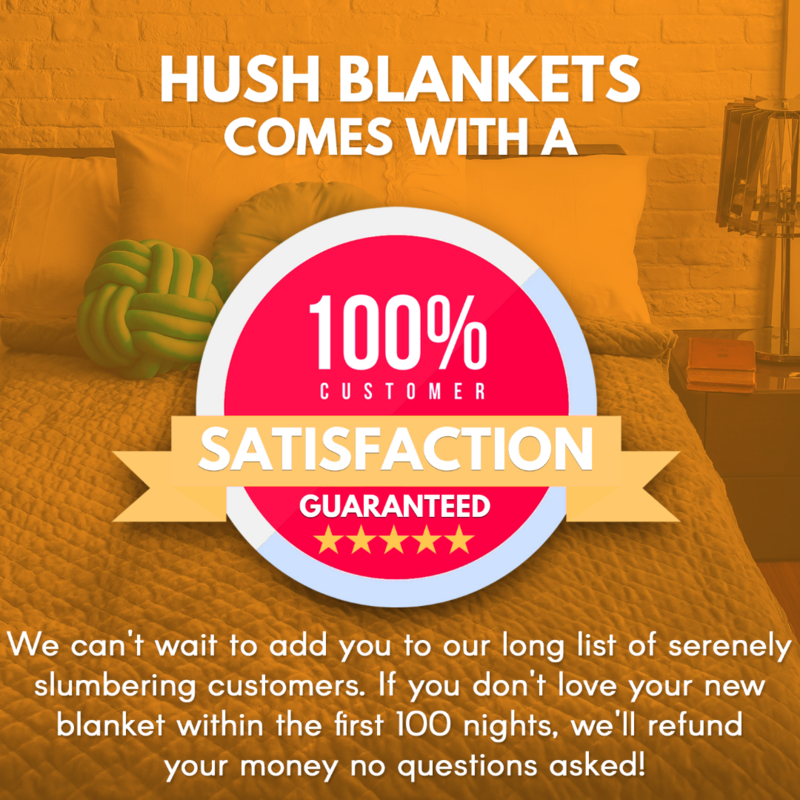 Try the Hush Blanket Today With Our 100 Night Guarantee - Absolutely Love It Or Your Money Back! Buying stuff on the internet - especially one with big claims- can be scary, we get it. That’s why we came up with our 100 Night Guarantee. 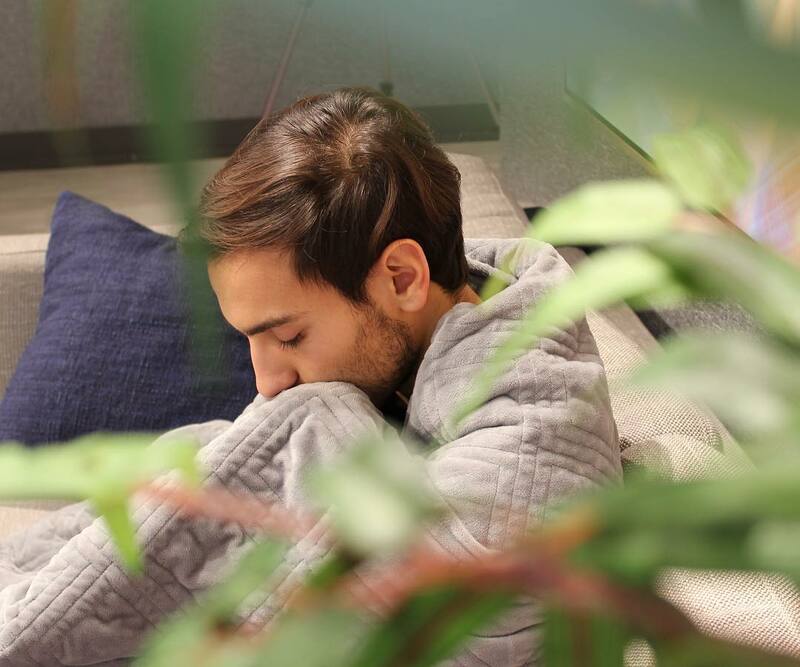 If you try the Hush Sleep-Inducing Blanket and it doesn’t help you sleep faster, better, and longer, just send it back and you’ll get a complete refund. Don’t like the color or you simply want your money back? No questions asked, you get your money back. Click here now to pick up your Hush today and say goodbye to insomnia forever!